Based in South China and with the strength of the printing industry in the region, "The South China International Printing Industry Exhibition" (Printing South China) has 20+ years' successful track record. 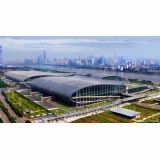 It has been receiving high recognition from the industry players and become the most influential international trade fair of its kind in South China. With the success attained, Printing South China will continue to build the ideal exchange platform for new technology, new products, and new technological achievements in the printing industry of China.